Im not even ashamed to admit that I am one of the biggest Zelda geeks that this floating rock in space has ever seen. Its as much a part of my childhood as crying and Philip Schofield. One of Zelda’s defining features (apart from being amazing) is the incredible music that defines each game. Each time I hear the games score it takes me back to my bedroom at christmas (usually when I got the games) playing the night away on a 15 inch TV that had the tendency to only show the colour red. Listening to the music through those tinny mono speakers wasn’t ideal but the music was still incredible. 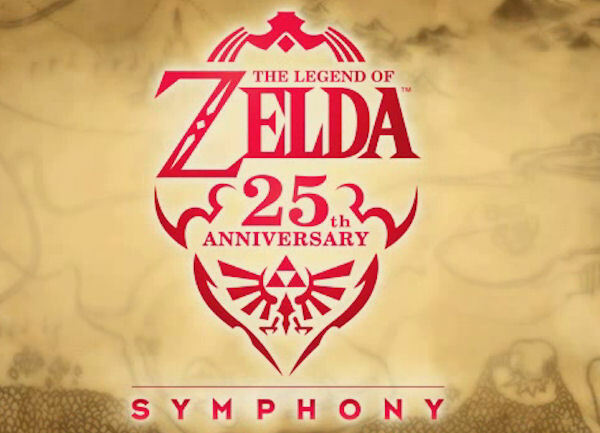 It seems Nintendo is also aware that the music to that game is “Nun-kicking-ly epic”, so much so that for the 25th Anniversary of the little dude in the green pyjamas they are getting a symphony together to play an ensemble of the best tunes. For those in the UK (like me!) it will be taking place of the 25th October at the Hammersmith Apollo. I will be going along with My sister and my Zelda Playing buddy- Steve. Full report to come when we’ve encountered the awesomeness of hearing our favourite tunes blasted to us from an orchestra.